Two of the hottest new names in American architecture these days aren’t actually American. And learning to pronounce those names can take a minute, but it’s worth whatever time it takes. Kazuyo Sejima and Ryue Nishizawa, who co-founded the Tokyo-based firm SANAA in 1995, are making some of the most talked-about buildings around. The first SANAA-designed project in the U.S.—a single-story gallery that holds the glass collection of the Toledo Museum of Art, in Ohio—was completed last summer and instantly put the pair on the map. Like Philip Johnson’s famous Glass House, SANAA’s Glass Pavilion seems to consist of almost nothing but that. 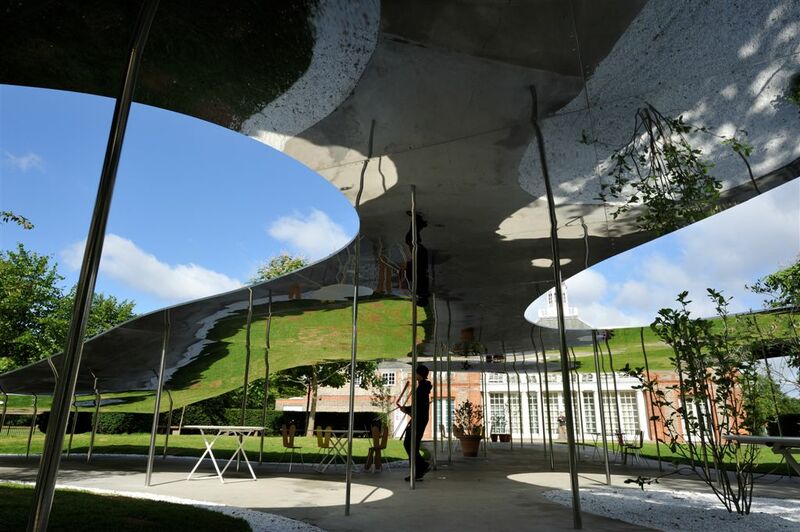 But unlike Johnson’s house, in which only the exterior walls are transparent, the pavilion also includes interior glass walls that create a complicated exercise in reflection and transparency. Sejima, 50, was taught by masters. One of her first jobs was with the firm Toyo Ito, a giant of Japanese architecture. By 1987 she had her own practice. Eight years later, she teamed with Nishizawa, now 40, to form SANAA. Their next project in the U.S. is the New Museum of Contemporary Art in Manhattan, a shifting, seven-story stack of rectangular boxes, each covered in an aluminum mesh, that’s scheduled to open in November. The off-kilter stacking arrangement, in which some of the boxes appear to have slid sideways, allows light from above to enter several floors. It’s all very different from the Glass Pavilion. But there is no consistent SANAA style—just a consistent imagination.